"3 million people have been displaced and 11 million need humanitarian aid." During the war in Iraq the people living there experienced fighting, shelling, displacement, loss of relatives, break-up of families and years of occupation by so-called Islamic State. Handicap International has established a humanitarian project there which is supported by the knodel foundation. 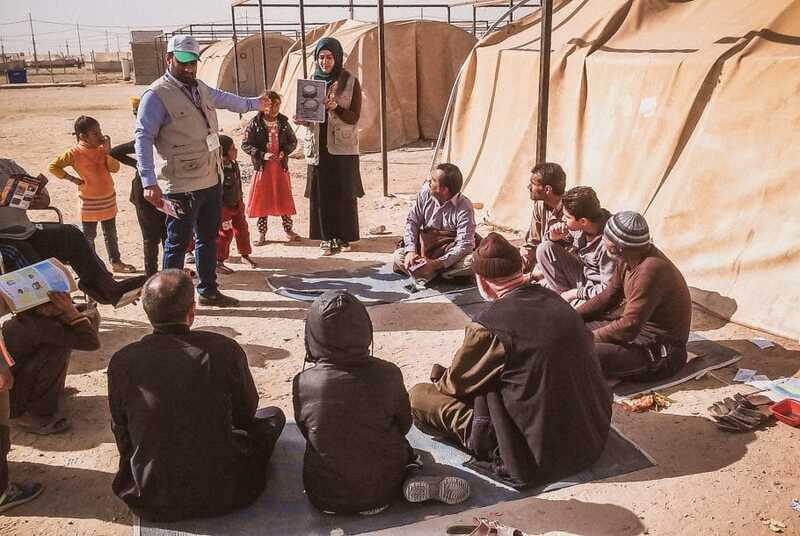 It offers assistance to those affected in coping with physical injuries and psychological trauma, and informing them about the dangers posed by explosive remnants of war. More than three million people have been displaced by the armed conflicts in North-Western and Central Iraq, and another eleven million are in need of humanitarian assistance. 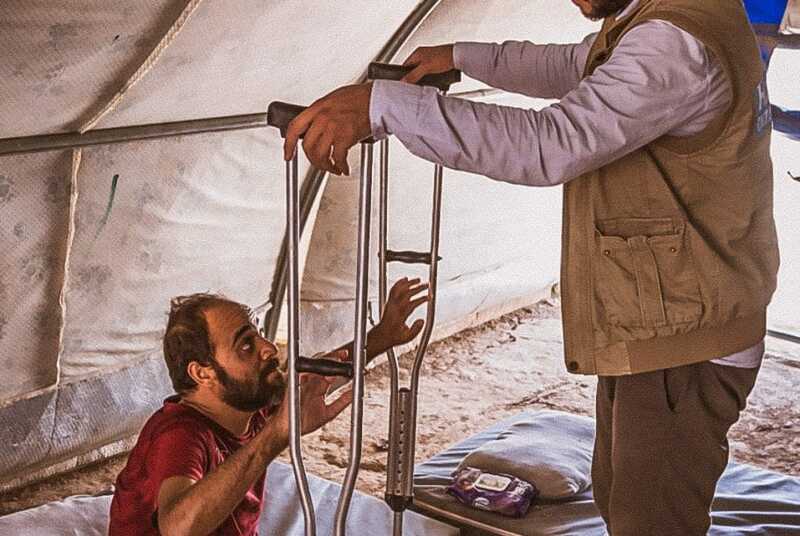 Many have suffered physical injuries, and without orthopaedic aids such as wheelchairs or walking aids, they face losing limbs or becoming functionally dependent. And nearly all of them suffer from psychosocial stress. Furthermore, many people have lost their homes and all their possessions. During the fighting many towns and villages were razed to the ground, or have been contaminated by unexploded ordinance. 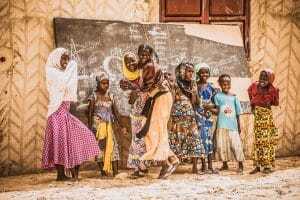 The people, who want to return to these places, are seriously threatened by landmines and improvised explosive devices. 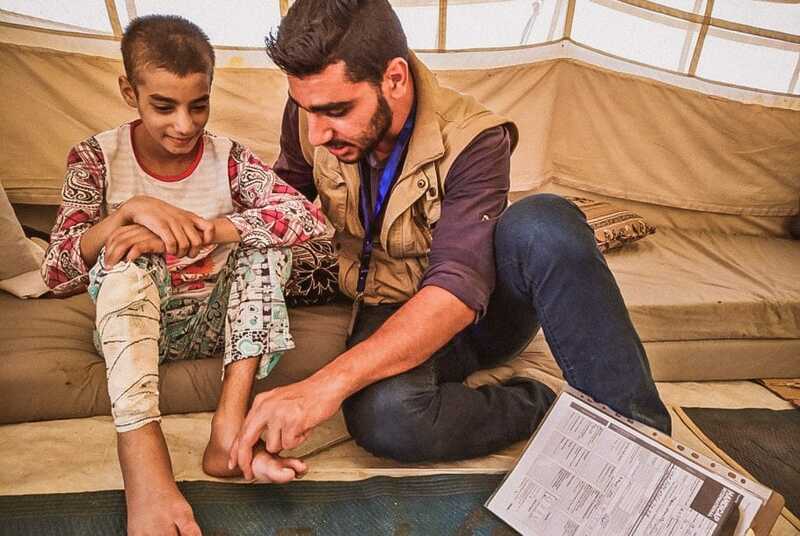 Handicap International has been carrying out humanitarian activities in Iraq since 2014 in reaction to the crisis. The goal of the project is to help the inhabitants, returnees and other groups of people in need of protection to cope with the physical and psychological injuries, for instance, by giving them access to rehabilitation services. Furthermore, the project informs them about the dangers posed by left behind ordinance, mines or unexploded bombs.